An interesting race, the San Marino GP. To some extent it was not so much about what took place on track, although there was plenty of action in yet another good GP, but more about what was happening off it. It began in extraordinary circumstances as the circus gathered in the paddock on Thursday. 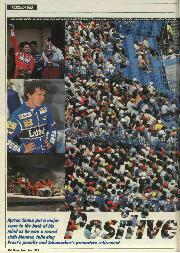 Where was Senna? If you were diligent enough you could find all manner of options. He was back in Brazil. He was in mid-air. He was in Italy. What was certain was that the former World Champion was not at the circuit. 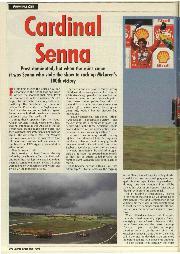 In fact, though McLaren's Head of Communications Norman Howell lamely tried to gloss over the facts when Senna finally did turn up, Ayrton had had absolutely no intention of coming to Imola. In the cold war with Ford over the thorny old subject of engine equality with Benetton, he had made up his mind to take brinkmanship to the absolute limit. "If you ever compromise once, people expect it of you," he told confidantes. That he really was going to stay home was evidenced when he went out on the town back home on Wednesday night, only getting back in the early hours of the morning. There was talk of strong drink and frivolity. These were not the actions of a man who had the intention of handling a Formula One car in the immediate future. 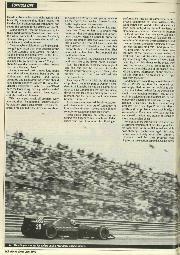 And yet Senna did come to Imola. And he did so because Ron Dennis had a brace of the Ford Series VII HB V8s in the McLaren truck. The trouble was that in between the time Ron convinced him of that, and Senna's actual arrival, Ronzo had still not obtained permission from Ford to run the units. In fact, he'd had one in an MP4/8 the previous Tuesday for testing at Silverstone, but after a Cosworth employee had double-checked with Ford at the last moment, permission for it to be driven by Senna had been withdrawn. That would have breached the exclusive agreement with Benetton which Ford, naturally enough, had no intention of violating. All through Friday Ron Dennis and Tom Walkinshaw wore out the carpet up the steps of the Ford motorhome as they thrashed out the subject, each maintaining a brave face and an even strain as they emerged none the closer. Quite reasonably, it seemed to me, Walkinshaw wouldn't budge unless Dennis agreed to sign a Ford deal for 1994. If he did so, Walkinshaw was prepared to agree to full and immediate equality of engine supply for the rest of the season, provided they went ahead together and shared long-term development costs. Perhaps understandably at this early stage of the year, and at a time when the future of the Ligier Renault deal is uncertain, Dennis wasn't prepared to commit. But the opportunity cost of maintaining such room for manoeuvre was no dice on Series VII until Silverstone, as was always the deal. Senna was less sanguine. Point of fact, he was in a very odd mood all weekend. Having stepped off the red-eye flight from Sao Paolo and arrived at the circuit with literally only 15 minutes to go before Friday's free practice session got underway, he was voluble when he discovered he couldn't have the engine he wanted. "Benetton," he complained, "has moved the goalposts." And the expected diatribe followed. Sometimes in the real world you just can't have everything that you want. Uncharacteristically, the Brazilian was also vulnerable. Surely it was no coincidence that he made elementary driving errors in three of the four practice sessions. Like Fangio at Monza in 1952, perhaps he had just pushed himself too hard physically. By race day, of course, the Brazilian was his usual dangerous self, dismissible only at the dismisser's peril. Prost discovered that right at the start, already irritated when knowing observers had looked to the rain-filled skies and predicted another disaster for him. 'Senna weather,' they said, and after Donington one had to admit they had a point. 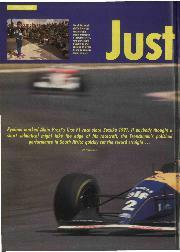 And it looked that way as Prost lagged off the line, just as he did in Kyalami. "I had a problem with the clutch this morning," he conceded. "The car was starting to move a little bit and I had to stop it because otherwise I would have penalised." Under Sod's Law, the moment he touched the brake the lights went green. 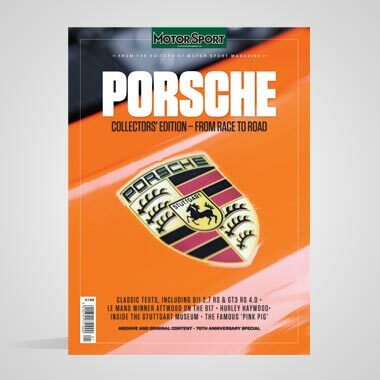 Said Patrick Head: "The clutches behave slightly differently, and Alain seems more sensitive to that than Damon, just as Riccardo used to be much more affected by it than Nigel was last year. He would say 'This is a good one', or 'That's a bad one', and we'd measure them and find no discernible difference in them. But they're spinning around at thousands of revs in there, and maybe we need to measure these things dynamically, not statically. 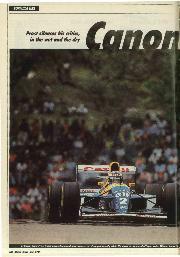 . ."
Whatever, it was Hill who led down to Tosa, the Briton confidently closing doors on the aggressive Senna. Even a quick trip over the entry kerbs to Acque Minerali failed to deter him and he held sway on the greasy surface for 11 laps before making his stop for slicks. Behind him, Prost had finally found a way past the wide McLaren on lap seven, whereupon Senna immediately came in for his dry tyres. Prost followed a lap later, and therein lay Damon's mistake. By the time he regained the track he was just ahead of his two main rivals, who had had longer to suss out where the really dry bits of track were. You had to sympathise. At Donington he'd come in too often; here those extra laps out on wets played against him. Down to Tosa he blocked Senna mercilessly, but though the Brazilian later complained, that was the pot calling the kettle black. This was when Prost's set-up experience also came into play. Prior to the race there had been a half-hour acclimatisation session because of the rain, and he'd changed his FW15C slightly. "After that it was fantastic in traction," he enthused, and he made best use of that. Going into Tosa on lap 12 Hill was intent on blocking Senna on the tight entry line, so Prost stayed out wide going in and came out on the much tighter exit line where the track was at its best. There were backmarkers ahead and as Williams number 0 held back the McLaren, Prost got alongside Senna to box him in. By the top of the hill he had gone from third to first, while Senna soon nipped by Hill to take second. Damon counter-attacked strongly until lap 19 when he was so nearly collected by Barrichello. The Brazilian had an awful time after being hit by Christian Fittipaldi at the start, as the Minardi driver avoided flying debris from an accident which ensued when fast-qualifying Mark Blundell was pushed into a spin. Rubens was fighting back after losing a lap. He'd just passed Zanardi's Lotus going into Tosa as Senna and Hill came up to lap them, but when Zanardi repassed Barrichello the latter retaliated on the exit but spun right across Hill's bows. By a miracle they didn't touch. 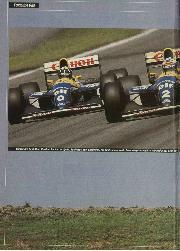 The incident lost Damon contact with Senna, and set up the scenario for his demise on lap 21. Going down to Tosa the Englishman got a really good tow from Zanardi and dived down the inside. As he braked, however, he simply slithered straight on, across the gravel trap, and into frustrated retirement. "I was maybe a bit later on the brakes and I was going in faster than ever because of the tow from Zanardi," said Damon, "but when I hit the brakes the pedal went to the floor. 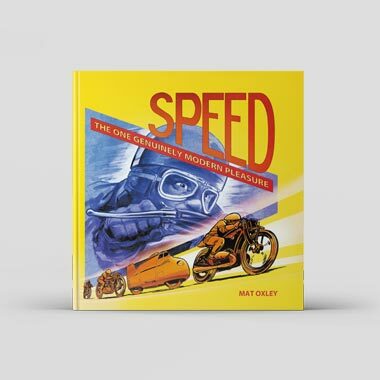 Perhaps that's a slight exaggeration, but when you need to go suddenly from 200 mph to about 80 in under three seconds then, believe me, that's the way it feels." It was, it seemed, the infamous 'long' brake pedal that afflicted Mansell back in 1991 at Hockenheim and Suzuka, and which prompted one Fleet Street writer who should have known better to express the view that Mansell's only problem in the German GP had been the team fitting the long pedal instead of the short one that he prefers. . . Head wasn't entirely convinced, however. "We have a pad knock-off problem every now and then," he admitted, "usually caused by vibration after a long straight. It's a mechanical problem, but if the driver knows about it, he can help. We are working away but we're on the edge of the problem. It rears its head as the engine revs rise every year. "The other factor is that Damon has enormous feet. Thus for him it is always very important that the brake pedal is in a particular position when he wants to apply the brakes. He brakes later than Alain, who rolls into a corner. But you still have to use the same amount of retardation. It's just that Damon brakes in fractionally less time. That means all that heat has to be dissipated in a fraction less time." At Donington Hill had been asked by whom he'd most like to be driven round a circuit. 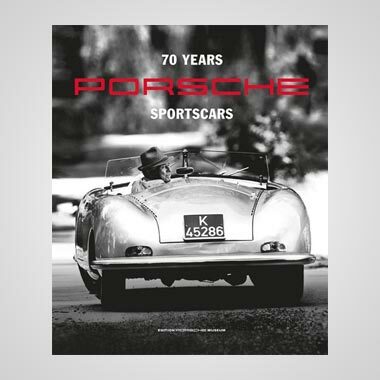 "Alain," he'd replied, "because then maybe I can find out how he manages to brake without overheating the system." Clearly, the problem is one that has afflicted the Frenchman less. Head again: "I don't think that the knockoff problem was really part of Damon's accident. I think maybe he was on a damp bit of track to pass Zanardi and that like any racing driver he was leaving his braking to the last moment. And the pedal was not quite where he wanted it to be." In his voice you detected the almost paternal tolerance for the errors of somebody he likes and has time for. Others have not been so lucky to escape an engineer's wrath. Prost sailed serenely on, with every lap raising two fingers to his French and Italian critics who had torn apart his Donington performance. And at the same time he also proved something to Frank Williams. The team owner had joined in the criticism and then been obliged by Renault to issue a statement afterwards confirming his support for Prost, and the vibrations were still being felt in Italy. The chequered flag duly fell to enter his 46th victory in the record books, and the man himself professed nothing but pleasure with the ride his FW15C had given him. "No problems," he asserted, and then came the signs of the pressure he was feeling all weekend. "But I will take the opportunity to say something today, because I won. Each time I try to explain things to the press, they take that as an excuse to misquote me. So from now on until the end of the season there will be no more information, on the mechanical side, from me. The press will have to get that from the team." And there was something more to learn. On lap 53 Prost's lap time had opened out alarmingly. Had he been in trouble? It transpired that indeed he had, for the throttle had stuck open heading towards Tosa at 200 mph. By declutching and braking hard, he had temporarily obviated the problem, leaving the Renault V10's limiter to take care of any over-rev. For a few laps Prost took things gently, and the problem came back briefly. 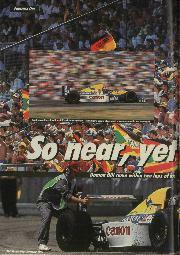 It was a relieved Frenchman who took that flag and closed to within two points of Senna in the championship chase. For Senna there was no relief in a weekend of torment reminiscent of Brazil last year. Had his race gone full term Hill would certainly have challenged the McLaren again. As it was, Senna ran a lonely race after Damon's retirement, until his own progress was blighted by an electronic gremlin. Going down to Tosa – the place, that weekend – on lap 43 he felt the MP4/8 beginning to lose its electronic systems, and later that lap it shut down completely, having grabbed his attention in the biggest possible way. Team-mate Michael Andretti's GP career finally got started in Imola, and though he again blotted his copybook on Friday by spinning into the pit wall, he ended up only seven tenths slower than Senna when the latter (having emulated Michael the same day) lost his own MP4/8 on Saturday afternoon. There were times in the past when Berger was not that close. This time Michael got through the first lap and the next 31, but his first proper GP came to an end on lap 33 as he spun trying to pass. . . Wendlinger. The Austrian has been his nemesis this year, what with the altercation off the line in Interlagos, and Michael's rash overtaking attempt at Donington. At Tosa on the first lap he was actually alongside before Karl pulled ahead, and on lap 33 Michael did scrape by there, only to run wide and be repassed going up the hill. At the top chicane he locked his rear brakes he claimed he couldn't reach to adjust bias set for the wet weather which never materialised and looped again into retirement. The signs are there that he can do the job, for those who want to see them. He still drives the MP4/8 like he drove an IndyCar, flicking out the tail to get it round a corner. You cringed inwardly when you watched him do it in the final corner after his Friday afternoon spin, but interestingly he never lost it again.. . He clearly has the same streak of impetuosity that sometimes undid his father's best efforts, but the promise is there. Senna's passing left Michael Schumacher to pick up an easy second place after spending the opening laps fending off Berger's Ferrari and the initially attacking Wendlinger in the Sauber. It was a case of waiting for the B193B to come good as its fuel load lightened, and for a while the young German was setting fastest laps as he got his head down around the 40-lap mark. 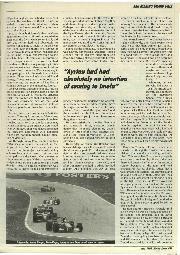 He was eating slightly into Senna's advantage by then, but once the Brazilian quit he elected to accept six points in a weekend that had seen him kicked out of Friday qualifying, then reinstated, when the stewards decided that, after all, there had been confusion over him running harder B compound evaluation tyres to set his quickest times where everyone else had adhered to Goodyear's recommended choice of Cs. Some saw this as cheating, but the stewards later clarified their own rules to forbid future use of tyres intended by Goodyear only for use in exploration laps. Third was the best possible fillip for Martin Brundle, after a season that was rapidly turning into 1992 Revisited. 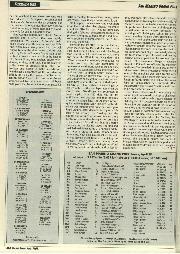 As Blundell qualified a strong seventh, Martin lined up 10th. And when Mark was punted into the wall exiting Tamburello after the start, Martin was left to fly Cyrile de Rouvre's flag. It's fair to say he had a quietish race initially as he chased Hill, Senna, Prost, Schumacher, Berger, Wendlinger, Andretti and Alesi, but gradually he pulled clear of pressure from Lehto and Herbert and began to make inroads into Wendlinger's advantage as the Austrian lay fifth by lap 40. He then passed the Sauber on lap 41, just as Alesi expired, and when Senna dropped out two laps later what had been sixth place had become the rostrum place he kept to the flag. However they come, results are results, something a team can build on. "It'll help to motivate everyone even more in all the work which lies ahead," he smiled gratefully. "The last part was far from easy during the fight with the Saubers because my pit was asking me to back off as I had an oil surge problem in some corners. But I'll take this one, thank you." Benetton lost its other car on the first lap, when the lacklustre Riccardo Patrese spun at Tosa, but overall it fared an awful lot better than Ferrari, which continues to look more and more like BRM in its dying days. The F93As never looked remotely competitive, no matter how much the tifosimight pray for improvement with signs such as the one hung opposite the team's pit which implored: 'Barnard we want to dream again'. There's fat chance of that on current form. Berger dropped out after only eight laps, minus first and second gears, while the excellent Alesi tigered his way up to fourth ahead of Wendlinger by lap 37, only to retire four laps later when the clutch failed. Wendlinger was promoted to fourth again, in a C12 that was set for anticipated wet weather and thus painfully slow in a straight line. The Austrian proved quite unable to pass Aguri Suzuki's Footwork, which was running little wing and was, perhaps unfairly, later deemed worthy of a 10s stop-'n'-go penalty for 'holding up' the Sauber and Alesi. That allowed team-mate JJ Lehto to close and he brought the Lotus duo of Herbert and Zanardi with him in a battle that enriched the closing stages. The Finn had qualified well down as his C12 handled oddly, and later a brace of faulty dampers was discovered. Now, also in a car set for the wet, he was having great trouble containing the Lotuses. Herbert's 107B was running more wing than Zanardi's and suffering from a Ford HB that wouldn't pull strongly, and on lap 50 they swapped fifth place. 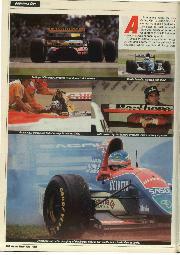 Zanardi had also changed the software quite fundamentally for the race, and the car had come alive. A friend allegedly timed him fastest of all through the penultimate corner where, ironically, he would go off challenging Lehto. 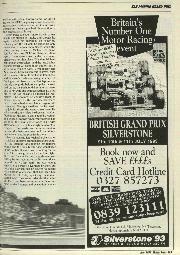 He would later claim that the Finn short-braked him – JJ denied it – and as the Lotus spun and hit the wall the impact punched a lower suspension wishbone straight into the gearbox oil tank. Alex regained the track, saw that the back of his Lotus was well alight, and wisely elected not to go into the pits. Instead he drove the blazing machine past the pits, towards Tamburello. 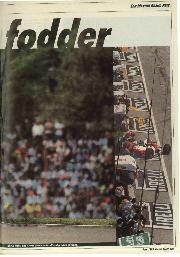 "I remembered Berger's accident there in 1989 and how efficient the marshals had been," he revealed. "I saw a fire, so that's where l went." Some presence of mind, even if one of the marshals was seen to slip over twice. For the Italian there was some consolation in fourth fastest lap, set on the same laps as Schumacher set his best. That indicated the gap betwixt Benetton and Lotus to be precisely one second.